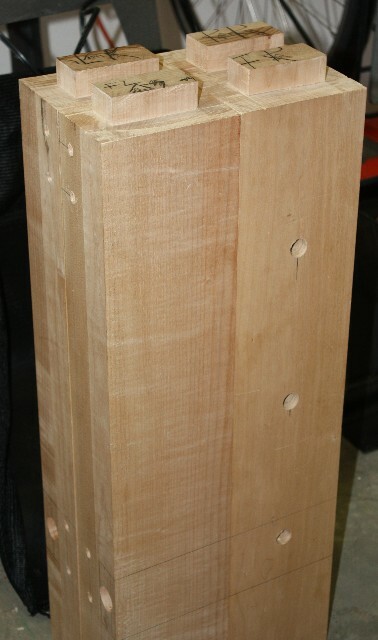 Over the weekend, I finished up my tenons and got many of the holes drilled into the legs. 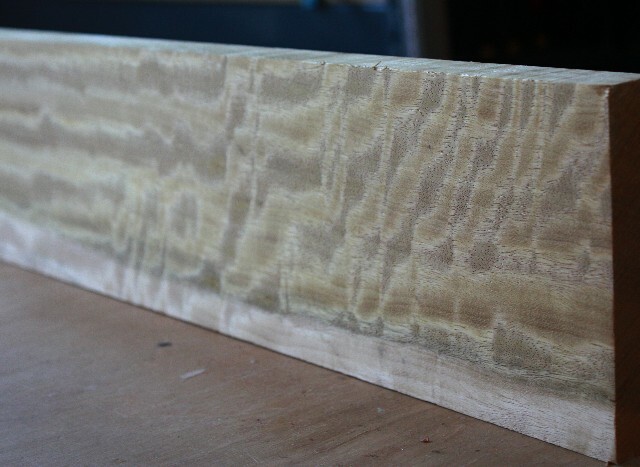 The first set of holes will allow me to draw bore the short rails (stretchers) that span the width of the workbench. The second set of holes are for the Benchcraft barrel nuts/bolts for the long rail across the front and back of the bench. By using the bolts, I will be able to break down my bench should I ever need to move it. The top will come off and the sides will separate from the long stretchers. 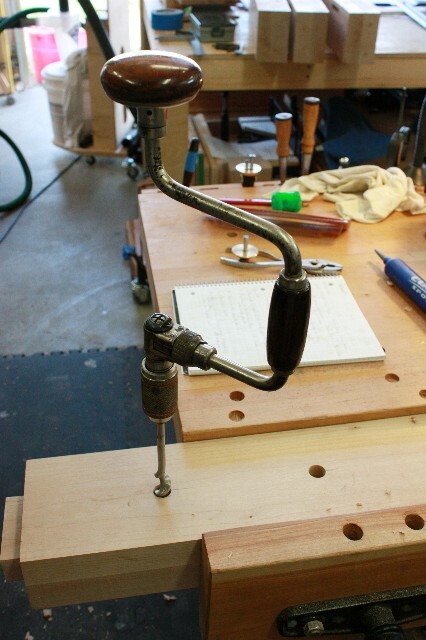 Question – My drill press was not able to completely bore the 3/4″ front holes through the legs so I used my brace to finish them up. When I backed the brace up, the brace head would loosen and the bit would pull out. I could only make one or two turns before the head of the brace would loosen and I’d have to re-tighten it. Is there something worn on the brace or was my technique in correct? Has this ever happened to you? So here’s what’s up next. the parallel guide. I figure that if Marc Spagnuolo can have flames on his table saw, I can have flames on my parallel guide. Wood is Movingui. I don’t have that problem with my brace, it seems wrong. Are you reversing the ratchet and rotating the brace the other direction to back it out? Yes, that’s what was making the bit fall out. Does sound broken, then. Sounds counterintuitive, but I sometimes find it easier to back them out by continuing to crank as if going deeper, but pulling upwards at the same time. You’re in Seattle, right? I have a few spare braces and could bring one next time I am passing through (if you have not already found one). Wow! thanks for the offer! I actually picked up another brace from Josh at Hyperkitten and have been really happy with it. Hopefully we’ll get a chance to encounter one another on another occasion!